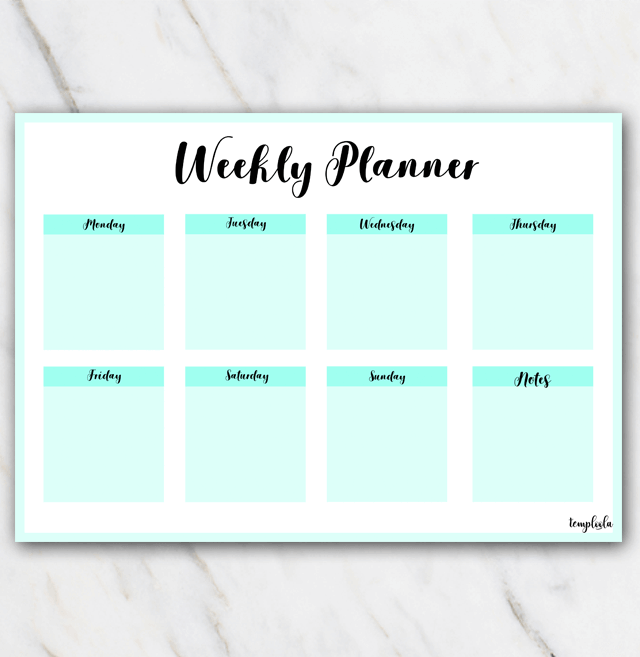 Wow, this printable weekly planner has such a vibrant, turquoise color, looks awesome! The weekly planner is easy to download via the Free download button. After that you can easily print the planner in A4. Is the color a bit too vibrant for you? No worries, there are also weekly planners with soft colors on the overview page with all the other printable weekly planners.